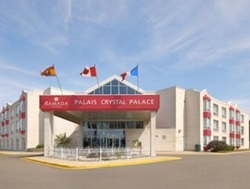 The most recent IMSI quarterly Board of Directors meeting was held at the Crystal Palace Hotel in Moncton, New Brunswick on August 24th. The meeting was chaired by the IMSI President Richard Norman and was well attended by the IMSI Directors and advisors. Some other Directors and advisors indicated that they could not attend the meeting due to financial, time or other constraints. Some who could not attend the meeting contributed useful input in advance of the meeting. There was a round table discussion regarding the 2011 maple crop and related market factors in Canada and the United States. The IMSI Board representative of the Federation of Quebec Maple Syrup Producers provided an update on the 2011 maple crop and some additional information of interest. It was reported that in 2011 there were an estimated 42.7 million taps in Quebec, yielding an estimated 101.9 million pounds of syrup. Prices ranged from $2.81/pound for AA to $2.22 for industrial grade syrup. There is an estimated 37.5 million pounds of maple syrup in strategic reserve in Quebec which is close to the amount thought to be required to ensure an adequate supply to buyers when it is needed, particularly if there is a below average crop of maple syrup experienced in the future. In general, sales of syrup were reported as good by maple producers and packers in attendance at the meeting, with prices holding steady in most circumstances. It was noted by some that the availability of relatively low priced syrup in some large retail outlets may adversely affect some local markets. Production levels have increased in some areas due to modernization of maple production equipment and expansion of the industry in some areas. The IMSI, working cooperatively with the NAMSC, has been active in recent months responding to issues related to the packing and retail display of blended syrup products. A letter was sent to most major food retailers in Canada and the United States outlining concerns of both IMSI and NAMSC related to misleading advertising and product displays which are potentially confusing to consumers and may adversely affect the market for pure maple syrup. Some retailers have indicated they are reviewing their shelf-placement policy as a result of this communication. The IMSI and the NAMSC sent letters Pinnacle Foods Inc. regarding use of the traditional Log Cabin plastic jug for table syrups as well as shelf-placement of the table syrup product in relation to pure maple syrup and some additional follow-up is expected. Dave Chapeskie, Chair of the IMSI’s Standard Grades and Nomenclature Committee reported on progress in support of this important project initiative. The final draft of the regulatory submission for standard definition, grades and nomenclature was approved without amendment by the IMSI Board of Directors at their August Board of Directors meeting in Moncton,New Brunswick . The Board authorized that the document be distributed to regulatory authorities at the federal level as well as to regulatory authorities and appropriate industry representatives at state/provincial level . Distribution will also extend to government and industry contacts in a other states and provinces with a commercial maple syrup industry. The IMSI will be closely monitoring progress towards obtaining regulatory approvals . The IMSI has targeted adoption of the new maple grading system for the 2013 maple production season,subject to obtaining regulatory approvals. It is anticipated that regulatory authorities will provide a phase-in period between the current and the new system. Progress towards obtaining regulatory approvals will be closely monitored by the IMSI and reported periodically. Several operational market trials involving maple syrup producers and packers are being designed for implementation in the fall of 2011 or in 2012. These trials are intended primarily to engage a number of maple producers and/or packers with the proposed new grading system and provide additional helpful feedback from producers/packers and consumers in advance of full implementation of the changes. The information derived from these trials will be shared in the NAMSC–IMSI Annual Meeting forum in Connecticut in October 2012 and in the Maple Digest . Centre Acer has developed a number of new colour classification kits and syrup sample sets to be used where required in support of these trials. Implementation of the proposed standard grades is not in any way dependant on these trials but they may assist implementation. Some exploratory work has been done to assess interest among existing suppliers of grading kits in producing new colour classification kits or equipment modifications (ie. lovibond) which will be required once the IMSI proposal has been approved for implementation. It is believed that there will be a market for both temporary and permanent colour classification kits developed or adapted to the new system. USDA has expressed some interest in developing a permanent colour classification kit and a commercial subsidiary of Centre Acer may also be interested. The IMSI continues to assess available options for production of the new colour classification kits. Ray Bonenberg, Chair of the IMSI’s Nutritional and Health Benefits Committee reported on the status of this work. Project deliverables being finalized included a) An IMSI strategic positioning statement; b) A poster and rack card; and, c) A CD containing scientific and web-based information related to nutritional and health benefits of pure maple syrup. The IMSI Board of Directors accepted the final draft of the related IMSI position statement without amendment and accepted the proposal to publish a CD containing the IMSI Position Statement, the final approved version of the poster and rack card when ready and related scientific and web-based information resources. The draft poster and rack card summarizing nutritional and health related benefits of pure maple syrup were accepted in principle. The Board requested that there be further consultation with appropriate officials within CFIA, Health Canada and FDA to help finalize the content of these two resources. When ready, the final draft of the poster and rack card will be circulated to the IMSI membership for comment. Eric Prud’Homme of CFIA reported on the status of organic certification standards and related dialogue in Canada and the United States. Eric suggested that there is an opportunity and advantages to harmonizing the standards in Canada and the US, using the Canadian standard as a primary reference since it is more detailed than the US standard. Further details, including a comparison chart of Canadian and US Organic standards, can be obtained from the IMSI’s Executive Director upon request. There was also discussion regarding examples of misleading or in some cases inaccurate comparisons of organically certified syrup with non certified syrup. CFIA officials have offered to provide a presentation on the status of organic certification requirements for syrup at the IMSI’s upcoming Board of Directors meeting in Michigan on Sunday, October 23rd. A summary from this discussion will be presented at the IMSI’s Annual meeting on Monday, October 24th. Related issues and opportunities will be discussed further at that time. The IMSI is also re-activating its Organic Certification Standards committee in preparation for any follow-up. Dave Chapeskie presented the final draft of guidelines for the use of air injection for the production of maple syrup. The guidelines have been reviewed by a number of experienced users of Air Injection Technology as well as scientists at UVM Proctor Research Centre and Centre Acer. All input was taken into account in finalizing the guidelines. The IMSI Board of Directors accepted the final draft of the guidelines, without amendment. A copy of the approved guidelines can be obtained from the IMSI’s Executive Director upon request. This is the fourth year for the IMSI’s Golden Maple Leaf Award and the 13th year for the Lynn Reynolds Award to being administered by the IMSI. Winners of these two awards will be announced during the Annual NAMSC and IMSI banquet event in Michigan on Wednesday, October 26th. Kathy Hopkins provided the IMSI Board with an update regarding future offerings of the IMSI sponsored Maple Grading School. It should be noted that University of Maine Cooperative Extension had launched a website to help promote IMSI’s Grading School. The website address is: http://extension.umaine.edu/maple-grading-school/. This link will be added to the IMSI’s website. A grading school will be held in conjunction with the Annual NAMSC and IMSI meetings at the Bavarian Inn in Frankenmuth, Michigan on Thursday, October 27th and Friday, October 28th. Please note that there will be an informative panel discussion focused on the factors affecting supply, demand and prices for maple syrup and current market conditions.